Menstrual cup China: here’s everything you need to know! If you’re living in China, it can be difficult to go into the local pharmacy and buy a menstrual cup. Even if you can, it can be hard to know whether or not it’s made from the highest quality medical grade silicone. There are a ton of cheap menstrual cups out of China, but the ironic thing is that it can sometimes be difficult to buy any of them there. Not that you’d want to, they are usually very cheap, flimsy cups. This makes them hard to insert and many of them leak like crazy. You’ll end up spending more money in the end for a top-quality menstrual cup brand that’s far, far better for your body. In my opinion, it’s better to just spend a bit of cash up-front to get a top-quality cup. These cups are much firmer than the cheap ones. This means they’ll open easily inside of you. They’ll also suction well to your vaginal canal wall and not leak. I can’t emphasize enough how much better they are for you! Where Can I Buy a Diva Cup in China? 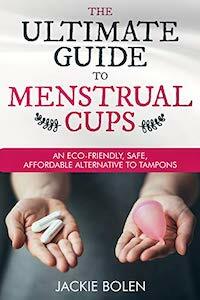 An excellent solution for everything menstrual cup China is to order it from Iherb. Prices are very reasonable at around $30 USD for the Diva Cup. There is an additional discount if you order 2 or more. Shipping is astoundingly cheap at $4 for orders over $40 and up to 7 pounds–it will take 1-3 weeks, depending mostly on how quickly customs processes your order. Check on Iherb for the latest deals. There is sometimes free shipping, for example if you order over a certain amount, or by a certain method. Because the Diva Cup is so light and small, you may qualify for cheap shipping by air. Although Iherb only sells one menstrual cup on their website, they’ve chosen the best one! The Diva Cup is the most popular cup in the world. Based in Canada, the cup is also manufactured there from the highest quality medical grade silicone, according to strict standards. The Diva Cup is the cup to which all others are compared. Many people buy this one to start with, and then end up sticking with it for the rest of their lives. It’s easy to insert and remove, easy to clean, and also seems not to leak for most people. There are two sizes-a small, and a large. The small is recommended for people under 30, who haven’t given birth vaginally. The large is for someone who’s given birth vaginally, or is over the age of 30. When you’re on Iherb, you’ll probably notice that they also sell the DivaWash. Although you can clean your menstrual cup with warm water and a gentle soap, the DivaWash is a nice option too. It’ll keep your Diva Cup squeaky clean for years. If it’s your first time ordering from Iherb, you’ll get $5-10 off your first order by clicking on this link below. And the best thing is that Iherb has as amazing selection of hard to find things in Asia for great prices. Keep shopping! Please leave a comment below and tell us where you can buy a Diva Cup in China. Share the knowledge with your sisters!